The Old Vaults (est. 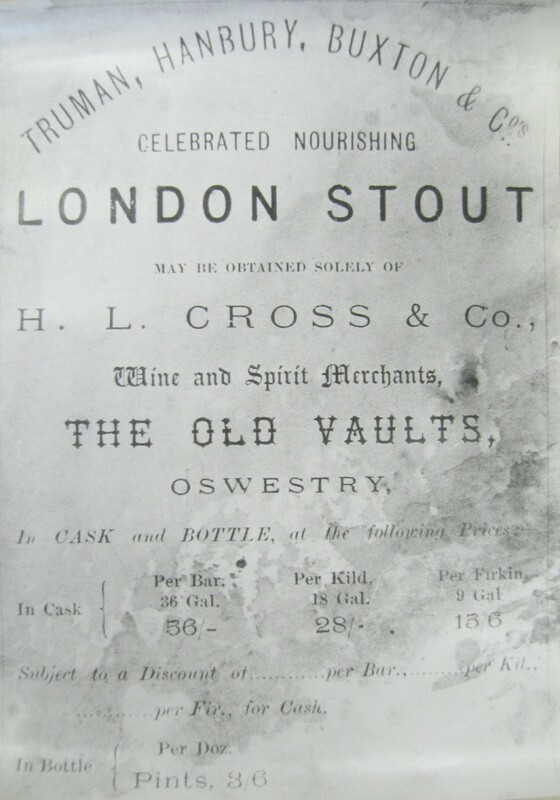 1770) according to Isaac Watkin was no.14 Church Street next door to no.12 the Kings Head Vaults, there is no date but Harry L Cross, Wine Merchant on the 1881 census. He is married to Ann and has a daughter Lucy. He is not listed on the 1871 or 1891 census, but there is a Cross family in Church Street in 1871 with no occupation listed – he may be related to them.